With V-Day on a Friday this year, there are all sorts of fun opportunities to get your pals together…maybe even with their sweeties. Here’s how to make your bash a blast, not a bust. Phew! You know how when you were little, you had to bring valentines in for everyone in your class? Yep, same idea goes for big holiday parties. If it’s just your inner circle of sistahs, that’s one thing. But if you’re inviting every gal in your grade, aside from just a few, it’s a great idea to go for broke and invite the whole gang. That way, no one will feel left out on the day of hearts. 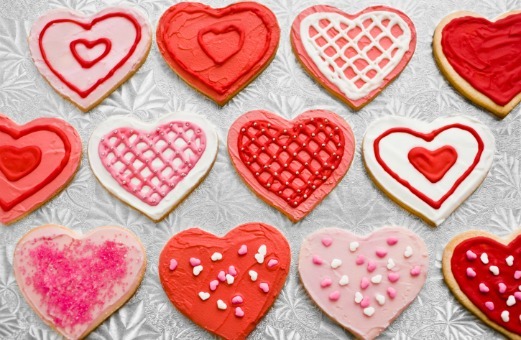 Some of your babes might be allergic to common V-Day eats, like chocolate, nuts or dairy. If they are, find out how serious the allergy is and then plan around it. Have other things for them to eat, and make sure to label all allergens you put on the refreshment table. You don’t want your party space to look like Cupid vomited all over it, right? Decorate tastefully instead of going all out. If your tablecloths and streamers are a shade of blush, use metallics and pops of red for other accents. And if you want to keep everything else white, why not do a color-themed candy bar, or throw in some fun flowers? Not everyone is gonna feel comfortable playing 7 Minutes in Heaven or Spin the Bottle, so don’t force any of your friends to take part. Assign an uncomfy chica to play paparazzi or to be gamemaster while the rest of you partake. That way, you’re all having fun without feeling pressured. Good tunes are essential for a successful party, but do try to keep all your guests in mind. If you’re throwing a co-ed party, you might be tempted to weight the playlist toward slow dances—the better to smooch you, my dear! Avoid temptation. A few slow dances here and there are fine, but you don’t want to make your guests feel awkward—or leave out the gals or guys who don’t have anyone to dance with. What’s your numero-uno party rule? WIN BWIN BIG! Stay pretty in pink all month with our February giveaway.